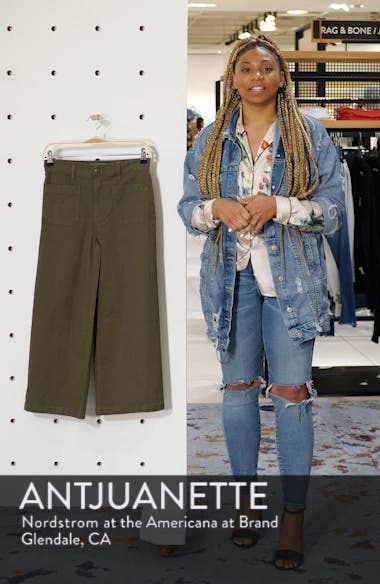 These pants feature an extra-soft blend of cotton and an of-the-moment fit that's cropped right above the ankle and cut with a flattering high waist. Choose a sizeTrue to size. 23=000, 24=00, 25=0, 26=2, 27=4, 28=6, 29=8, 30=10, 31=12, 32=14, 33=16 (14W), 34=18 (16W), 35=20 (18W-20W), 36=22W, 37=24W. High rise.